The Avalon Bay 27-piece Estate Collection by Mission Hills® will add elegance and comfort to your outdoor living space. Great for chatting with family and friends, lounging by the pool, or entertaining large parties, this estate collection includes a 9-piece deep seating collection, a 5-piece motion chat set, 9-piece dining set, and four chaise loungers. The beautiful seating set can be arranged as a large sectional or separated into multiple groupings to fit your outdoor living space. This adaptable collection features 1 club chair, 1 ottoman, 3 armless chairs, 3 corner chairs, and 1 aluminum slat top coffee table. 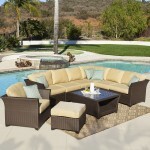 All pieces can easily be moved and positioned to fit your outdoor area. Fastener clips are provided to keep the modular pieces in place once you’ve arranged them. 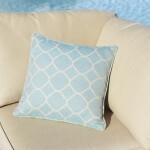 Five 17” decorative accent pillows in our exclusive Aqua Seaglass Sunbrella® fabric are also included with the set. Enjoy elegant outdoor dining with the Avalon Bay 9-piece dining set. The spacious square dining table seats eight, and every guest gets a padded armchair, perfect for long conversations. The diagonal design on the table top is made with aluminum slat which won’t warp or fade in the sun. An umbrella pass-through is also provided for additional shade options, plus lower storage shelf. Table requires minor assembly. The 5pc motion chat set includes four swivel motion club chairs, which swivel and rock, plus a wicker & aluminum slat coffee table. 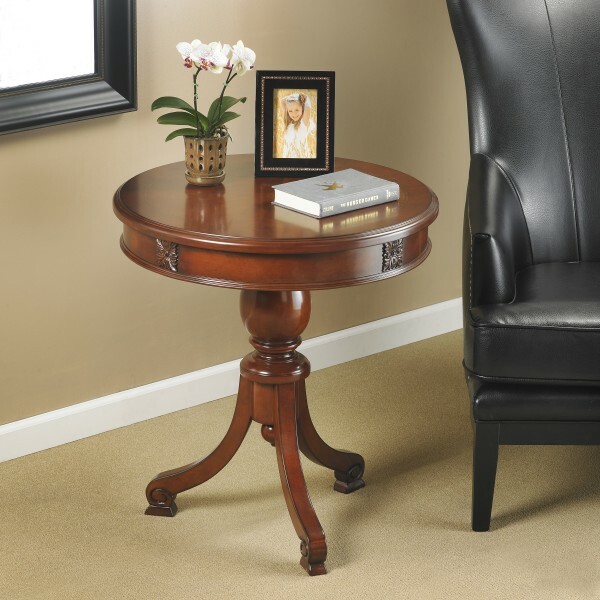 The configuration of this set is great for conversational seating. 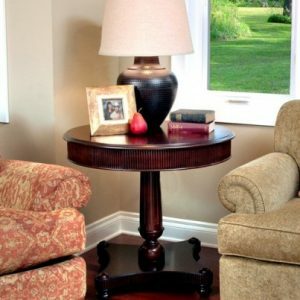 Gather around the square coffee table for a good time with friends and family, and store games or towels in the convenient storage space underneath. Four accent pillowsare included. The four chaise loungers feature 5-position adjustable reclining backs, and full length Sunbrella® cushions for maximum comfort. The bolster pillows can be placed at any point on the backrest for maximum comfort. 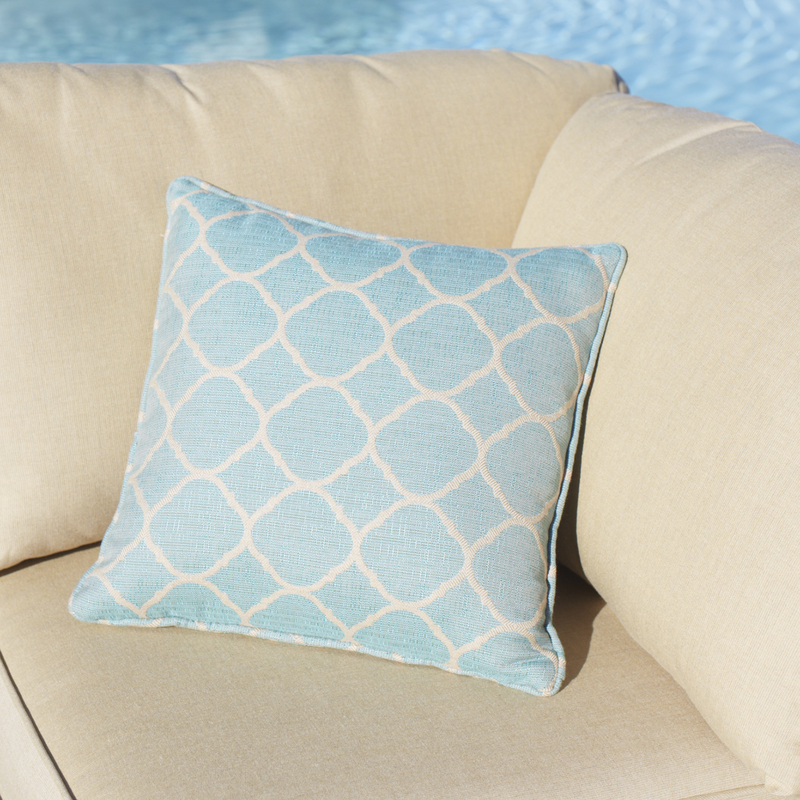 The Avalon Bay Collection is outfitted with mildew and fade-resistant Sunbrella® upholstery in Spectrum Sand, accented with our exclusive Aqua Seaglass fabric. 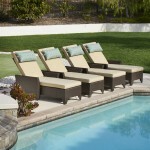 These cushions are soft and durable and will withstand intense sunlight, heat exposure, and numerous cleanings. Our handwoven resin wicker has rich shades of Multi-Brown. The UV and weather resistant material will look beautiful year after year. Powder-coated aluminum frames are light yet durable to make arranging your pieces a breeze.